In many civilised countries across the globe, institutions of government, saddled with the responsibility of providing critical services to the people, do not shut down during general elections. Though the managers of the members of the institutions are actors in the elections, they work out modalities to ensure that governance does not suffer. But, in Nigeria, the practice appears to be different. Whenever the country prepares for a general election, governance takes the back seat and institutions of government technically hibernate. This has been the practice since the country returned to democratic rule 20 years.During the period, the National Assembly is the worst hit. Lawmakers abandon the parliament and relocate to their constituencies to lobby for votes. As of today, the National Assembly is not in session and may defer resumption until state and federal elections are conducted.According to the Standing Rules of the Senate and the House of Representatives, each chamber of the National Assembly is expected to sit for a period of 181 days in a year. They sit three days in a week- Tuesday to Thursday. They embark on a two-month annual break between July and August of every year. During important ceremonies like Christmas, Easter and Sallah, the parliament also shuts down for a week or two. Cumulatively, it sits for about six months.This notwithstanding, lawmakers enjoy their salaries and other allowances during their holidays. According to the 1999 Constitution as amended, the function of the National Assembly sits on a tripod of lawmaking, oversight and representation. While lawmaking is carried primarily on the floor of the chamber, representation and oversight are mostly done behind the scenes.Despite the foregoing, pundits are worried that the prolonged closure of the National Assembly, may affect the consideration and passage of critical bills, requests and confirmations of nominees.Lawmakers were expected to resume last Tuesday, February 19. It adjourned on January 24, 2019, to enable parliamentarians seeking for another term return to their constituencies. The planned emergency plenary summoned by the President of the Senate, Bukola Saraki on January 29, 2019, following the suspension of the Chief Justice of Nigeria (CJN), Justice Walter Onnoghen, was also aborted at the last minute. The new National Minimum Wage The new National Minimum Wage Bill, which was passed by the House of Representatives, is currently waiting for the concurrence of the Senate. The Bill had already passed second reading in the Senate, but a public hearing is yet to be conducted by the adhoc committee constituted by the leadership of the Red Chamber.With a divided Senate and an unpredictable outcome of the National Assembly elections, there are fears that the Bill may suffer further delay in the Red Chamber. When lawmakers resume later in the month and tthe chamber fails to give accelerated hearing to it, civil servants may have to wait for the Ninth Assembly for the bill to be passed into law.This fear is borne out of the fact that President Muhammadu Buhari may not accept the latest proposed increment of the wage from N27,000 to N30,000. If the president rejects the Bill and it is sent back to the National Assembly, the parliament may run out of time to effect the corrections and get the assent of the president.The 2019 budgetSimilarly, the 2019 budget, which was presented to a joint session of the National Assembly in December by President Buhari, is yet to come up for deliberations on the floor of the Senate. Since it was presented, it has not been captured on the Order Paper of the Senate for consideration. The debate of the general principles of the N8.83 trillion budget, initially slated for January before the lawmakers went on their election break was cancelled. No official explanation was offered. When the Senate reconvenes next week Tuesday, it will have barely three months before the expiration of the Eight National Assembly to consider and pass the budget.When it reconvenes, it will take at least two weeks to settle down before any serious thing can be discussed. It will take another one to two weeks to discuss the general principles of the budget, before it will be committed to the various standing committees for further legislative action.If the process is allowed to take its regular course, committee exercise will drag on for another one month. During the period, heads of Ministries, Departments and Agencies (MDAs), will appear to defend the various subheads of the budget. There are other requests and confirmations from the Executive Arm, which are currently pending in the Senate. Unless the Senate runs at the speed of light, it may not exhaust everything before it’s expiration in the first week of June.Following the nomination for various positions in the 2019 general elections, there have been a lull in legislative business in the House of Representatives. After the nomination exercises in which no fewer than 100 members of the House lost their return tickets to the Green Chamber, only a few lawmakers have been participating in the activities of the House.While the majority of those who lost at the various political parties had retreated to their shells to lick their wounds quietly, those who won their party tickets to either return to the House or contest for other positions are preoccupied with electioneering activities. You are not the keeper of the register, so you cannot determine quorum. This is politics time, some members come around to sign the register and leave. You don’t keep the register, so you cannot draw my attention to the issue of quorum,” the Speaker declared. Analysts say the situation in the House, as it concerns members’ participation in legislative business may worsen after the general elections , as those who failed in their bid to get reelection may completely stay away from the chamber and committee duties. Pending legislative businesses As the House resumes plenary on Tuesday, there are several bills and investigations pending before the House. Top on the agenda is the Medium Term Expenditure Framework (MTEF), the 2019 Appropriation Bill. Prior to this last break, the House had passed the Appropriation Bill for second reading and referred it to the House Committee on Appropriations with all the standing committees as sub-committees. There are also the various components of the Petroleum Industry Bill, which are yet to be passed; the bill seeking a further alteration of the 1999 Constitution (as amended) to create room for state policing; a bill seeking to return the country to parliamentary system of government among others.Other pending matters before the House are the investigations into the conduct of the last party primaries, the utilization of the defence budget in recent times, among others. 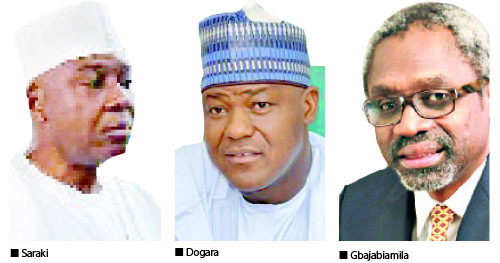 With the tenure of the current 8th Assembly elapsing in May, the Green Chamber has only three months to conduct serious legislative business before its life elapses.Although the House leadership has promised to handle most of the issues expeditiously, a school of thought believes that beyond passing the 2019 Budget, there is nothing much the Green Chamber can achieve in the remaining part of its tenure, especially as it would be embarking on the Easter break soon.An All Progressives Congress (APC) member of the House from Kaduna State, Hon Yusuf Bala told Sunday Sun recently that tecnically the current session of the House has ended.He said: “You know this is a year of election. We don’t expect much to be done in the House because as we are resuming, we are still going go take another break for campaign and electoral activities.